Separation anxiety disorder (SAD), is an anxiety disorder in which an individual experiences excessive anxiety regarding separation from home or from people to whom the individual has a strong emotional attachment (e.g., a parent, caregiver, significant other or siblings). The anxiety is beyond what would be expected for one’s developmental level. This can occur in children, adolescents, or adults, but is more commonly found in children and can induce long-lasting, continuous anxiety for periods up to six weeks. Physical symptoms are more often seen in teens and adults. These symptoms must cause clinically significant distress or impairment in social, academic, occupational, or other important areas of functioning to meet diagnosis. The symptoms cannot be better accounted for by another mental disorder or be caused by substances, medications, or medical illness. Separation anxiety disorder affects people of all ages, but is most commonly seen in children and teens under 18. A common sign to look for in children is a strong reluctance to go to school. Children who refuse to go to school may not want to go because they do not want to be separated from their attachment figure. Feeling a bit of anxiety when separated from security objects and comfort zones is natural. 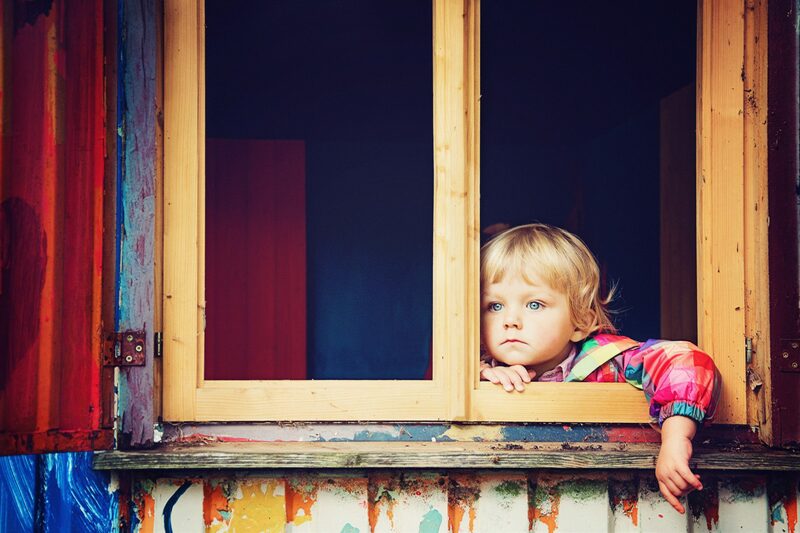 It is around ages three to four when social anxiety can become a bigger problem. 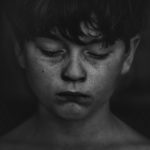 When separation anxiety becomes overwhelming and begins to interfere with daily activities, such as going to school or work, it could be possible that these natural worries have evolved into a clinical case of separation anxiety disorder. First and foremost, it’s important to find a way to control your own anxiety. Children are incredibly skilled at picking up on their parents anxieties and worries. If you’re too concerned about leaving your child somewhere, chances are your child will be equally concerned at being left alone. Your own anxieties need to be in control to prevent this from happening. The long goodbye is a great example of a behavior that can be an issue for your child. If you sit there and cry and hug your child as though you might be leaving forever (no matter how often you tell them you’ll be back), you’re leaving your child alone after instilling them with both a great deal of sadness and energy. They’ll miss you before you even leave, and they’ll experience that loss even harder once you’ve left. Goodbyes should be short and sweet, as though nothing is wrong and nothing will change. Another issue is fear reinforcement. When your child does experience fear when you’re leaving and runs to you, if you respond by hugging your child hard and picking them up and saying “it’s okay, you’ll be okay” and showing a great deal of emotion (or crying yourself), the child’s fears will be reinforced, because they’ll see that not only are you sharing in their fear, but they’re also being rewarded for experiencing that fear with hugs and love and a reaction. Another issue is that children that are left for the first time are often left without any warning. Suddenly, one day, they’re left. Whether it’s at school or a babysitter, parents suddenly leave after being around for most (or all) of their child’s life. This can be stressful and may be one of the causes of attacks of anxiety within your child. You can train your child out of this slowly by performing behaviors that get them used to you leaving. For example, first you could try leaving the child in another room for a while. Then try standing outside of the door. Then try leaving for five minutes and coming back (all while a friend is watching them). You can also do this at other people’s houses, and really make sure that they’re used to the idea of you leaving before you’ve ever left them anywhere. Finally, no matter how well you’ve prepared them for your absence, your child is bound to experience some anxiety while you’re gone. When you come home, you also need to make sure that you’re not reinforcing that anxiety. It’s best not to come home and immediately run and hug your child and tell them how much you missed them, giving the impression that they were in danger while you were gone. Rather, come home casually, smile at your child, and go about your day rather than giving the impression it was very hard for you to leave. Once an adequate amount of time has passed, you can follow that up by giving your child a lot of extra love. Separation anxiety is just another potential cause of long term anxiety problems with children. The behaviors described above are simple and easy to implement, and can have a profound effect on your child’s ability to be left with strangers or alone, and in their emotional development. Psychotherapy—Cognitive Behavioural Therapy in particular—is commonly used to treat separation anxiety disorder. Given that separation anxiety disorder is treatable and typically starts at a young age, talk with your child’s paediatrician if any separation anxiety disorder symptoms exist. He/she can help diagnose your child and/or direct you to the appropriate physician who can help teach both the child and parents healthy separation techniques. You can chat to an online facilitator for more help on the MOBIEG Helpline. Just click on LIVE CHAT to connect to a counselor. The service is free of charge and you may stay anonymous. It is a text-based conversation. We are online Sundays: 18h00 – 20h00; Mondays – Thursdays: 19h00 – 21h00.